In celebrating International Women’s Day, we are partnering with the Frost House Offices to host a screening of this movie that captures one daughter–father duo’s fight for girl’s education. Come watch the movie, He Named me Malala with us and witness how this young girl fought for her education. Malala not only succeeded in her fight to pursue her own education, but is now using her strength to empower other girls, and children, who are denied access to education. 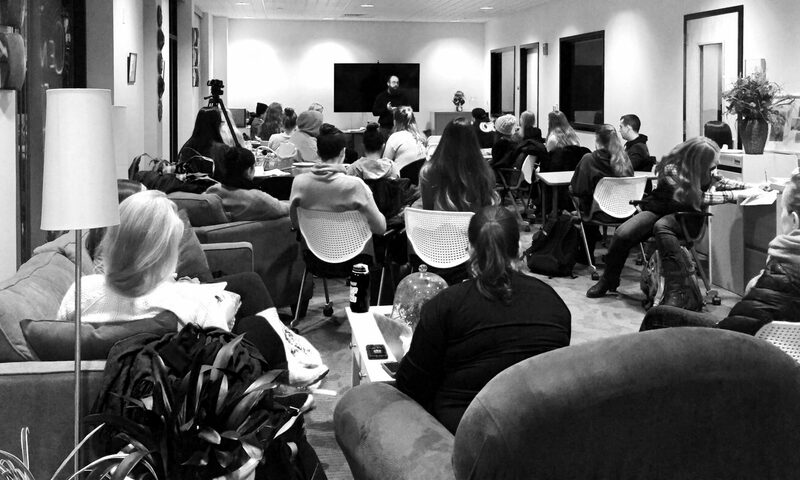 Join us for a constructive dialogue, after the screening, to set our intentions and arrive at some actionable goals to do our bits. Shaun Connors will be facilitating this discussion. Open to the entire PSU Community! 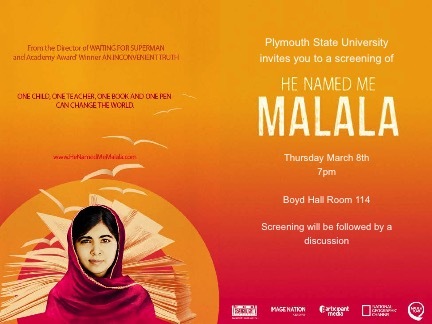 He Named Me Malala, a documentary by award-winning filmmaker Davis Guggenheim, traces the life of Malala Yousafzai, the young Pakistani activist who was the victim of an assassination attempt because she spoke so passionately in support of girls’ education. The film speaks eloquently about the importance of raising one’s voice to speak out against injustice, about the interior peace that comes with forgiveness, about courage under immense pressure, about the importance of a beloved home and family. It profiles the closeness of a father and daughter who both assume enormous risks to fight for their beliefs. It shows that in a patriarchal society, even a young woman can have a lasting influence.